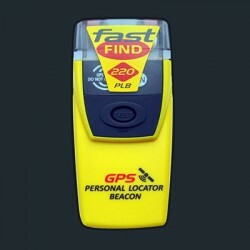 Emergency Location Beacons are used to alert search and rescue services in the event of an emergency. They do this by transmitting a coded message on the international 406 MHz distress frequency which is relayed via satellites and earth stations to the nearest rescue co-ordination centre. The system is one you can rely on. The COSPAS SARSAT SYSTEM has rescued over 30,700 people since it was first established in 1982. You can read more about how the system works by visiting cospas-sarsat.org/ . Once your signal has been automatically de-coded, it will be the Rescue Centre in the country where your bought and registered your Fast Find, that receives the information.